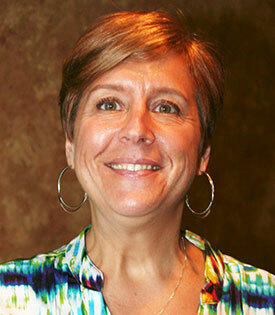 Susan Deluca, LCSW, received her MSW from the Jane Addams School of Social Work. Sue has more than 15 years’ experience collaborating with individuals, families and couples on issues of trauma recovery, sexuality, physical and sexual abuse, recovery from addictions and mood and behavior disorders. Sue completed post-graduate training in Clinical Work with Lesbian, Gay, Bisexual and Transgender Individuals and Their Families from the Chicago Training Collaborative. Sue’s passion for working with the LGBT community, and with questioning adolescents and adults, helps provide a foundation for these individuals to develop a deeper sense of awareness and self-acceptance, to heal wounds experienced from living in a homophobic culture, and to celebrate their unique and valuable contributions to their world. Susan Deluca uses many therapeutic approaches and tools to aid clients in healing, moving past unproductive belief systems and limiting behaviors, and support clients in discovering their intrinsic worth, gifts and talents. Theories including narrative therapy, Imago techniques, internal family systems, resiliency-based approaches, and a psychodynamic overview of human development and relationships provide clients with varying skill sets and opportunities to move their lives forward. Throughout her work, Sue’s consideration and use of spirituality help to anchor and cushion the changes individuals, couples and families enact in their lives. Sue believes that our beliefs about our place in the world, our openness to accepting the benevolent grace of universal energy, and understanding our innate power and interconnection to all other beings, systems and dynamics deepen our living experience and allow us to feel more richly the joy, peace and fulfillment available to all of us. Sue also provides workshops for community organizations on a variety of topics, including stress management, parenting skills, identifying substance abuse and eating disorders in adolescents, and work-related concerns. Susan Deluca also has an extensive background providing Continuing Education seminars for mental health professionals on clinical issues of addictions; gender identity; LGBT development; and coming out issues for adolescents and adults. In addition to Sue’s clinical work, she is also the author of Arbor Counseling Center’s official blog.